Schindler is all about getting people where they need to go, literally. Schindler Lifts Australia is part of the Schindler Group, one of the top elevator companies in the world spanning 100 countries and employing more than 60,000 globally, and 1,000 locally. Schindler's Swiss-engineered elevators, escalators and moving walks keep the urban world moving safely, comfortably and efficiently, 24/7 worldwide. Working with us means that every single day, no matter what you do, you seize the opportunity to impress our customers and tackle every challenge head-on, in partnership with our highly skilled teams. We are currently seeking an experienced L&D manager to join our team to act in a stand alone role. With a national focus, you will be responsible for the delivery of development programs that are aligned to the strategy of the business. Working as part of a larger HR team, you will be autonomous in your role but you will also collaborate with our Technical training team and have an overview of their programs and the apprentice program. We aim to create amazing, fit for purpose and impactful development opportunities for our leaders and employees that really enable growth and performance of our people. Reporting to the HR Director, you will translate the broader HR strategy into the L&D Plan, continuously engage across the business to deeply understand the needs and lead the business on training initiatives and development advice. This includes delivery of leadership development programs from individual contributors through to our most senior leaders so you will need to be an adept learning facilitator. 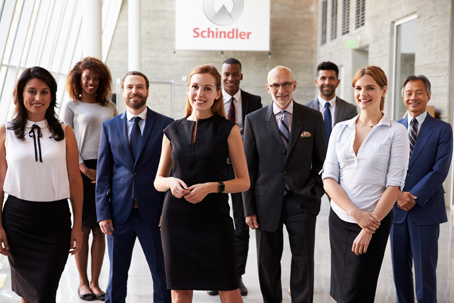 We believe learning is a key part of the culture here at Schindler, and this role is front and centre in enabling our success. You will use appropriate blended learning solutions and consider creative solutions for how to scale and embed learning to optimise impact across the business, which might include appropriate use of external partners but makes extensive use of our Schindler suite of programs. To be successful in the role, you will have significant experience in training roles within the engineering, construction or associated industries. You will have proven experience in designing, implementing and measuring the impact and outcomes of L&D programs within a business environment and strong facilitation skills to engage an audience and tailor delivery style accordingly. You will also possess strong communication and influencing skills and be comfortable developing positive relationships with a variety of functional and operational stakeholders. You will be comfortable working within a fast-paced environment with competing priorities and the ability to drive projects to completion. Tertiary qualifications in L&D, HR or a related discipline is highly desirable. This role is an excellent opportunity for you to expand your existing skills in a large, global organisation. At Schindler, we have a great culture that is supportive and inclusive. We care about building value and quality for our customers, we are committed to your development, we work with integrity and build trusting relationships, and we put safety first. There is potential for real growth both personally and professionally working with a great bunch of people. Join us and benefit from a competitive salary package, bonus program, access to education and development, staff discounts and a wide variety of social activities - even a day off on your birthday! If you are passionate about a career with us, please visits our Career site - https://app.revelian.com/schindlercareers/; click on the "Apply" button and complete our online application form. If you are an existing Schindler employee, please discuss your application with your line manager first. We support diversity and inclusion in all our workplaces; women, Aboriginal & Torres Strait Islanders, people with a multicultural background or a disability are strongly encouraged to apply. Please note we do not accept applications from recruitment agents for any position, this includes those that are submitted directly to the company or where the recruiter has contacted a manager.